Yesterday, the passing of Monty Oum was publicly announced on Rooster Teeth via staff member, Matt Hullum’s journal entry. Oum had been in critical condition for several days prior due to an allergic reaction, and it wasn’t known previously if he would recover. 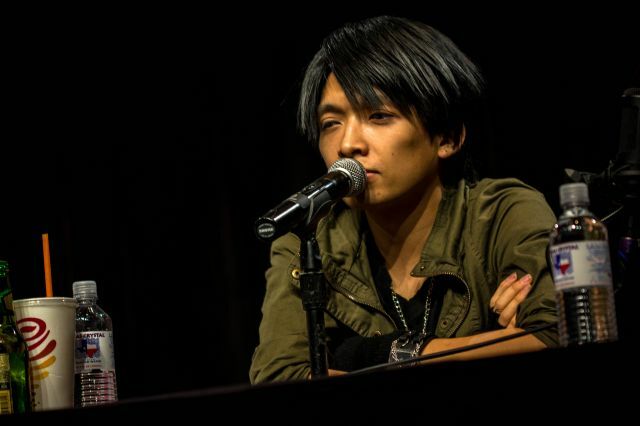 Monty Oum passed away on February 1st, 2015 at the young age of 33. Anyone familiar with Rooster Teeth’s more recent work is familiar with Monty Oum. He is a graphic artist, and has worked on seasons 8-10 of Red vs Blue. His more notable contributions come from the animated original, RWBY, which he wrote and directed. Oum was also a talented cosplayer (along with wife, Sheena Duquette) and dancer. He was basically very difficult to miss here in the geek culture world, and anyone who knew of his work, at the very least, respected his talent, passion, and amazing drive. The amount of fan art inspired by his work on RWBY, alone, is staggering. He was an incredible source of inspiration for many. The amount of love, grief, and support from this tragedy has been astounding. I have personally been a member of the Rooster Teeth community for a decade, myself, and have seen how close the community is, and how supportive they can be – most of my best friends are people I met on Rooster Teeth, and two of my bridesmaids were from that community as well. We’re a tight group. However, even with all of that said and experienced, I am absolutely taken aback by the outpouring of love and support from the community in the wake of this tragedy. Monty Oum will be sorely missed. Hold your loved ones tight, and be good to each other. This entry was posted by Jackie DeVore on February 3, 2015 at 7:21 pm, and is filed under Life, Press Release. Follow any responses to this post through RSS 2.0.Both comments and pings are currently closed.